I recently battled my way through the final ever MRCEM Part A exam. The exam has since had a facelift and is now called the ‘FRCEM Primary’. The format of the exam is changing from a true-false format to a single best answer MCQ. For more information on the new exam, check out the ‘FRCEM Primary Information Pack’. The curriculum will not change – it remains a Basic Sciences slugfest. I have written a handful of blogs which cover some of curriculum. Here are my thoughts on how to prepare best for the exam. Make no mistake – the exam is very tough. Over 50% of candidates failed the last sitting (June 2016). Unless you are freakishly good at cramming you will need to set aside at least 3 months to prepare. It’s very representative of the exam content – an opinion shared by everyone I’ve spoken to that’s taken the exam. Hearteningly, you’ll find it’s easy to read, and it’s written in sufficient detail to double up as a textbook for certain topics. It’s a fantastic revision guide. It can be very easy to find yourself stuck in a rabbit hole (so to speak) if you don’t know how much detail to learn – especially when wading through the vast anatomy content. Most recommended textbooks (e.g. Clinical Anatomy by Harold Ellis) describe far more detail than is required for the exam, which makes the curriculum essential as it very clearly explains what you don’t need to know. I printed out a copy of the curriculum and constantly referred to it as I went through each topic. You’d be crazy not to do the same. This is tricky for me to comment on as the exam format has changed. The rotator cuff consists of supraspinatus, infraspinatus, subscapularis and teres major – true or false? The answer is false (teres minor is a rotator cuff muscle, not teres major). You can see how easy it would be to get fooled into putting true, especially if rushed. In my opinion, the new exam format might make the right answer stand out more clearly as it will be written out for you in plain site (albeit mixed in with four wrong answers), instead of hiding behind an awkwardly-worded riddle. Dare I say it… the exam will become a little easier? Having said that, I’d imagine it’ll be the same crafty people writing the new exam, so the same rule applies – read the questions carefully. There’s bound to be a few curveballs flying your way. Focus the bulk of your revision on anatomy and physiology – as can be seen above they make up the lions share of the content. Tip: Upper and lower limb anatomy are always heavily represented in the exam. The advice I was given by multiple educators and veterans of the exam was to prioritise these topics. This was echoed by the faculty at the excellent Bromley Revision Course. The smaller topics (microbiology/pathology/pathology/haematology) shouldn’t be ignored, but be disciplined with the amount of time you spend on them. Remember to constantly refer back to the curriculum to maximise your efficiency when revising these topics. Spend 1-2 days towards the end of your revision focusing on statistics/EBM. It’s very different to the rest of the curriculum, and it will likely be completely new territory. Once learned, it sticks, and it’s guaranteed easy marks – which might push you over the threshold into a pass. It won’t take you long to cover it all, especially if you use these free videos supplied by Bromley (registration required). 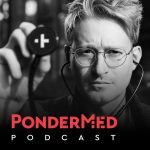 Dr. Eric’s Strong Medicine – A phenomenal youtube channel resource covering a vast amount of the curriculum (though no anatomy). I couldn’t believe my luck when I stumbled across Dr. Eric. Check out the awesome intro video below featuring JD from Scrubs! Armando Hasudungan – Beautiful videos that cover anatomy and physiology. Armando is an artist and medical educator in equal measure. Handwritten tutorials – Again, videos that cover anatomy and physiology, ideal for the visual learner. Khan Academy Medicine – More great videos for basic cellular physiology (there are thousands of videos, so search wisely). All of the above I found by searching Youtube, and the list is by no means exhaustive, there is loads more stuff out there – a seemingly never-ending supply of awesome lectures/videos that are very applicable to the exam. There is so much content that it can almost be overwhelming. Just remember to keep referring to the curriculum to keep you on the straight and narrow. TeachMeAnatomy.info is an amazing anatomy website. The content is excellently written text with great diagrams. It’s very digestible stuff, and the website is easy to navigate. This was my main resource for anatomy revision. Having been an avid FOAMite for a few years now, the idea of reading a dusty old textbook repulses me (tongue firmly in cheek). However, the reality is that you will need to occasionally refer to textbooks for this exam because so much of the content is back-to-basics. You’re not going to hear EMCrit podcasting about the contents of the anatomical snuffbox any time soon. Revision Notes for MCEM Part A: Mark Harrison – I used this very sparingly, mainly as a last resort if I couldn’t find the content elsewhere. It’s pretty dry reading, but it’s mapped to the curriculum. There are multiple great online question banks that all provide a similar service. I used two – passmcem.com and mrcemsuccess.com. Both are excellent, and give appropriately detailed explanations for the answers. Having re-visited both websites, they are yet to put up questions in the new format, but I’m sure that’s in the pipeline. I also used ‘Get Through MCEM Part A: MCQs’ by Iain Beardsell (of St. Emlyn’s fame) et al. This is a paperback book full of true/false questions with fantastic explanations. The explanations are so useful it can almost be used as an exam-specific textbook. It is critical to take practice exams in their entirety the week before the exam, and then check the answers/explanations after completion. I did 10 full practice exams (via the online question banks), and it gave me the confidence that I was getting good enough marks even if I felt like I didn’t know a lot of the answers in the paper (you’ll be surprised how well you do), and it got me into ‘exam mode’. When I was sitting the exam for real and I hit a stretch of questions I wasn’t sure about, I knew not to press the panic button. I threw money at the problem and went on a 2-day revision course put on by Bromley. It was pretty expensive, but worth every penny. As well as providing some excellent exam-focused teaching, you receive a great handout which covers a huge amount of the curriculum. Arguably the best thing about attending a revision course, was that it made me realise very clearly just how tall the mountain was, and therefore gave me that all important kick-up-the-arse (or ‘exam fear’), with plenty of time to spare before the exam. A revision course is certainly not essential, but if you’ve got a bit of extra locum-cash lying around, it’s definitely worth it. 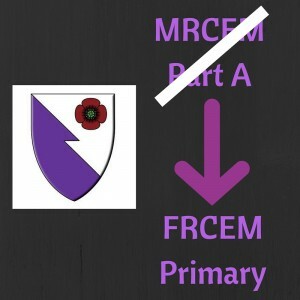 There is no doubt that the MRCEM part A/FCEM Primary exam is brutal. You will not pass it unless you put the work in. 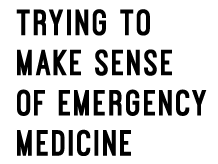 I took the MRCP part 1 (a few years back now… prior to seeing the light of Emergency Medicine) and I believe that the MRCEM part A is tougher, mainly because the bulk of the basic science content is pretty abstract – minimally applicable to everyday practice in the ED. It’s stuff you probably last visited in years 1-3 at medical school! Having said that, I’m told that the exam has become increasingly clinical since its 2003 inception (I dread to think what it used to be like), and perhaps the new format will lend itself to a more clinically relevant exam. Never let that curriculum document out of your site, get creative with the online resources that you use, focus on high yield topics, and do loads of practice exams. You’ll be fine. Anyone who has any additional resources they have found particularly useful I’d be very grateful if you’d post in the comments. 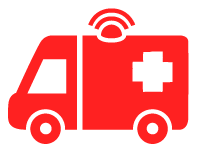 Agree with emergencymedicineireland, teachmeanatomy.info and handwritten tutorials as great resources for the exam. Personally I found a study group really useful to talk through common topics and discuss thing’s I found difficulty remembering. Cheers John. Agreed, study group is a great option. Using a practice paper as a guide for broad discussion is something I found useful. This is a great article. As one of the FRCEM Success (formerly MRCEM Success) team I am really glad you found our site useful and thank you for the recommendation. We now have over 2700 FRCEM Primary SBA questions and are currently in the process of updating and adding more following on from the FRCEM Primary sitting early today. For those who have passed the Primary, we have launched an Intermediate SAQ question bank with over 400 questions and growing. Really good blog and great info in here. Found everything i need to know. Cheers.